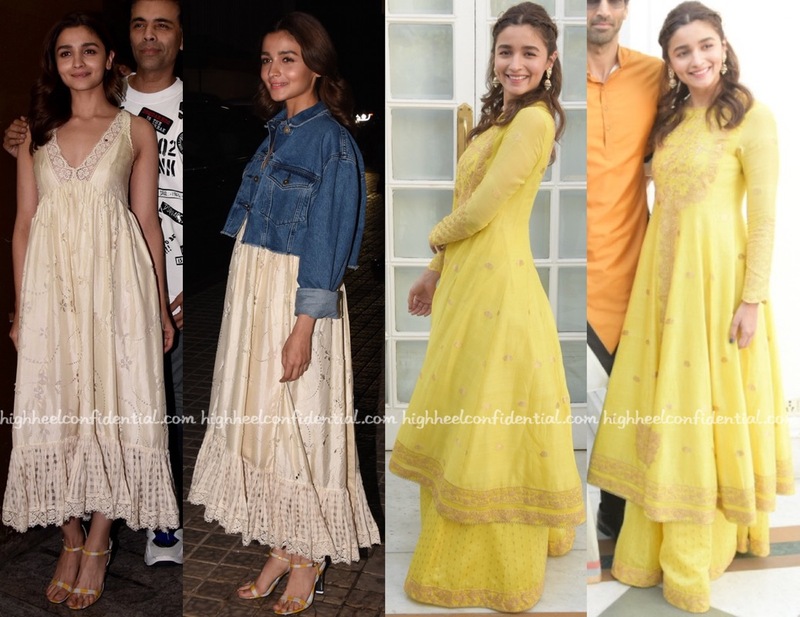 Wearing Drzya, Alia attended her latest movie’s screening in Mumbai last evening. 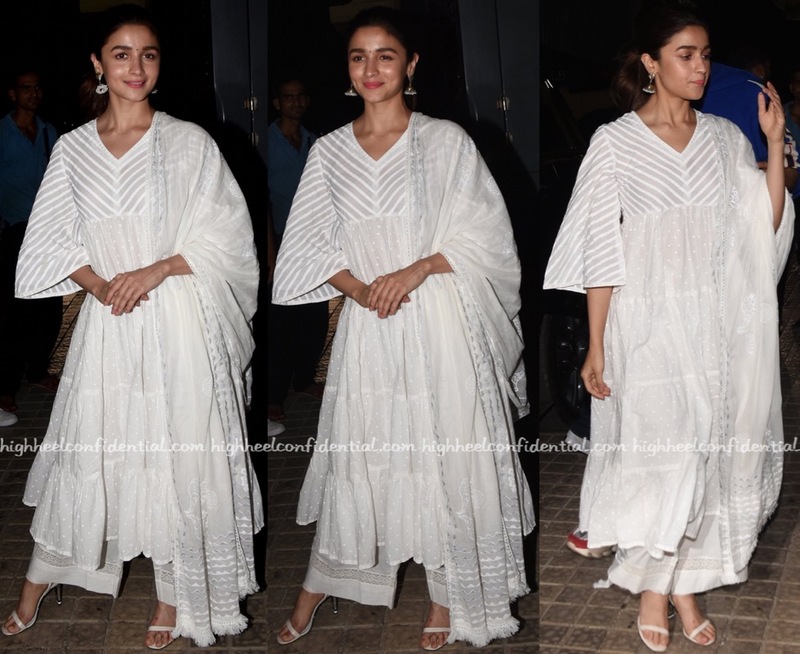 Matching sandals and earrings from Sangeeta Boochra were among her accessories for the evening. 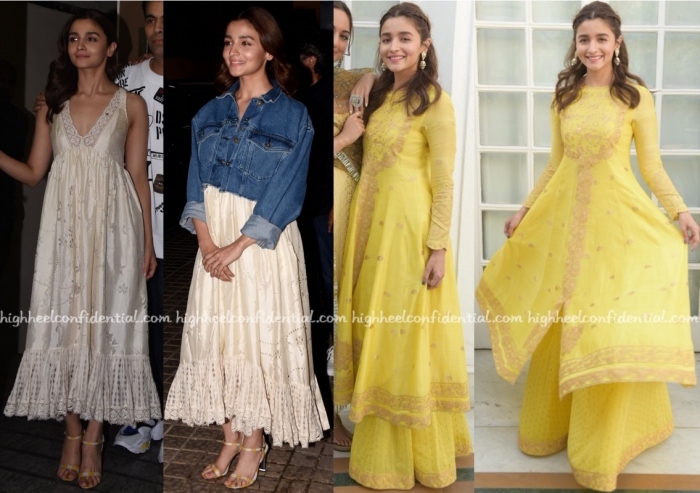 Love the easy, summery suit; Alia looked nice! Wearing an Anita Dongre suit with Needledust jootis, Sonakshi attended the screening of her movie on Sunday evening. She looked nice.